The London Crossrail scheme, due to open in 2018, features the Victoria Dock project which will enable high frequency trains travelling on the existing surface infrastructure to move underground and into the tunnelled section on the new Elizabeth line. The Crossrail programme commenced in 2012 and features 10 new stations, with the aim of improving congestion and travel times in London. 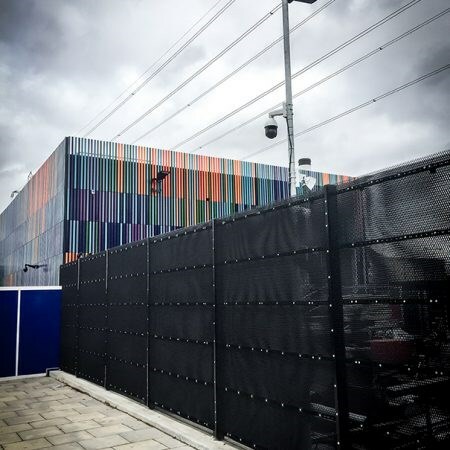 ExMesh™ was appointed by Crossrail contractor Newton and Frost Fencing Ltd to design and manufacture one-off pedestrian emergency exit gates as part of the Victoria Dock Crossrail project. Newton and Frost required high quality gates to be manufactured within a very tight timescale, ready for installation in a highly visible residential location. 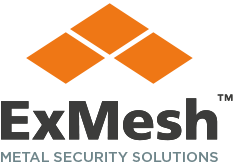 ExMesh™ worked closely with Newton and Frost and the contracted architects to produce the project drawings and layouts while also evaluating and advising on any potential certification breaches or considerations for the project. Site visits were initially carried out at various locations to scope the project requirements. ExMesh™ manufactured the exclusively commissioned gates and fencing using cut to size mesh panels to create 2.4m high and 3m high SR3 base plated fencing and gates with a powder coated black finish. The contractors specified that because the project was in a highly residential area, noise pollution was to be considered. The solution was to make the panels at its 25,000 sqm site in Hartlepool which minimised noise and disruption to the site’s surrounding area. The emergency gates incorporated specific high security locks from Mico Tindall and single deadlocking mechanisms – revolutionary for ExMesh™, as this was the first time the high security locks had been used with the ExMesh™ security range.